A video on printing from 1947. Film Addict will tell you what percent of the top 250 movies on IMDb that you’ve seen. My score is a healthy 50.4%. How do you design? A (beta) pdf book from DDO which examines the design processes used by different people and organizations. 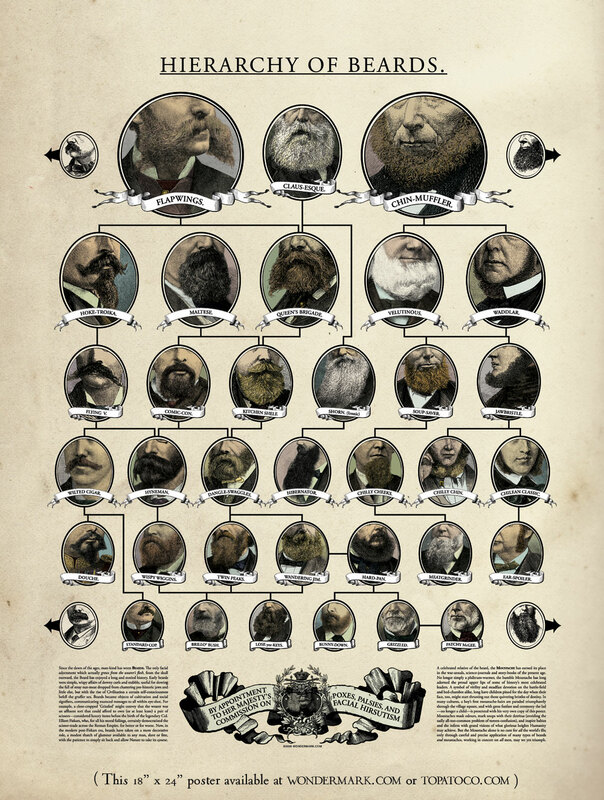 Hierarchy of Beards poster (large), featuring old-timey bearded goodness.